As someone who is quite understated when it comes to make-up products, I'll admit that it's only been recently that I've been brave enough to experiment a little bit. 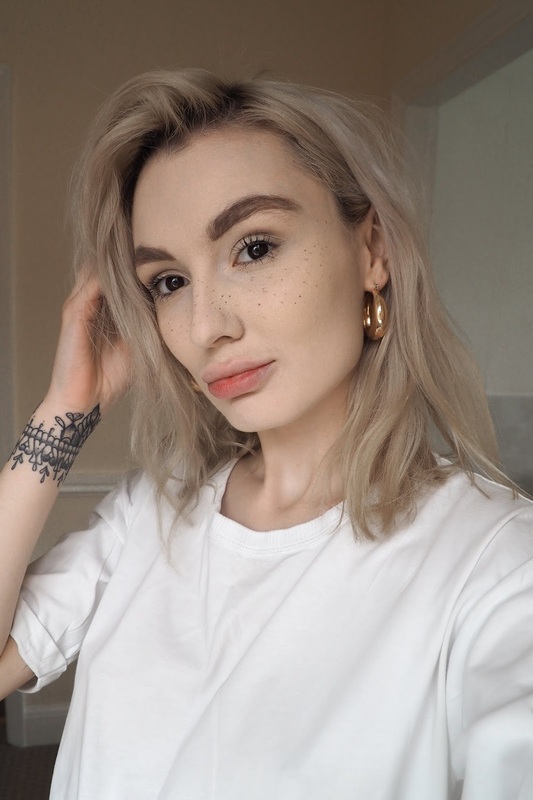 Usually sticking to what I know, which was always basic foundation, thick brows and a flick of black eyeliner, at the start of this year I started to introduce a little bit more into my make-up routine. 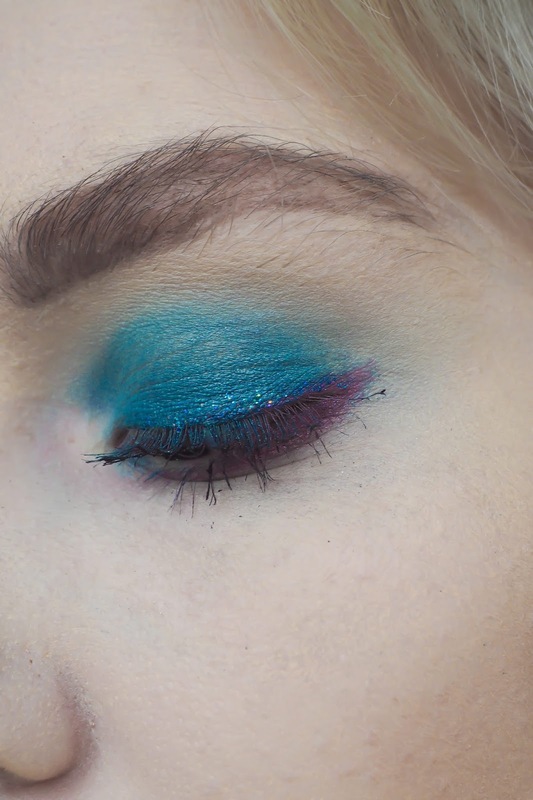 It started with a bit of glitter on top of my winged eyeliner (oh yes, I went there) and then I gradually started introducing colour into my eyeshadows and experimenting a little bit more, going bigger and bolder whenever I got the chance. I'll always have such admiration for those gals and guys who wear really bold make-up on an every day basis! When BOOTS got in touch and asked if I wanted to get a lil creative with NYX Boost Your Routines Campaign, I was so excited. I've seen so many amazing beauty gurus create some absolutely stunning looks with NYX products so I thought it was the perfect opportunity to really get stuck in there and get completely out of my comfort zone with some of their products. 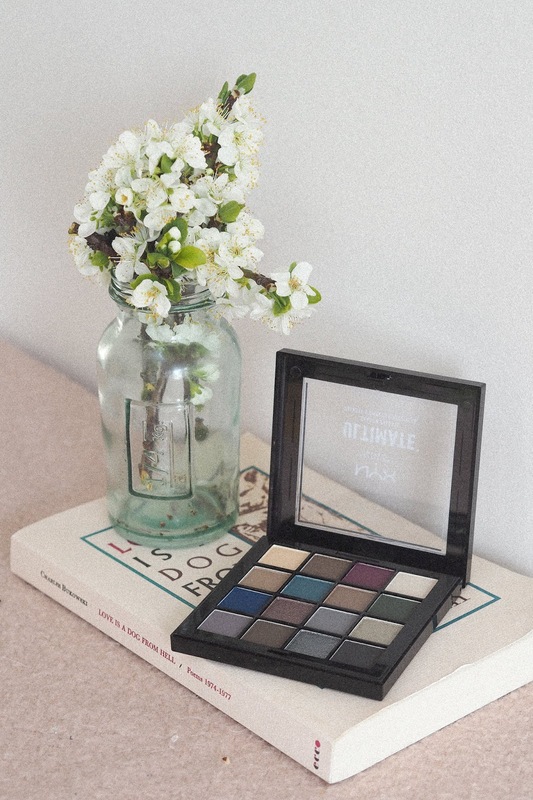 My little face especially lit up when I saw this absolute beauty of an eyeshadow palette drop through my letterbox and you'll see just how fantastic it is to have this type of versatility in your make-up box not only for nights out but also for everyday, more toned down looks. On a day to day basis, I like to keep my make-up looks simple but effective. Natural but oh-so not natural. That's why it's important for my make-up to be versatile and easy to use to create a whole variety of looks. I'm not someone who has a shed load of make-up that never gets used; I'm someone who likes to re-use and re-use and re-use, until I am legit scraping the bottom of the tub to get the last little specks of eyeshadow out. I've put together two looks using some of NYX's products that are completely different, but have been created using exactly the same products and for me, this kind of versatility is what's important when it comes to investing in make-up. Obviously foundation HAD to be one of the core products I used for these looks. The Can't Stop Won't Stop Foundation is full coverage with a matte finish and a thick and creamy consistency and I'll admit I was surprised at how great it was. I've steered away from drug store foundations for a while but this guy might have won me back! I love to glow like the sun when it comes to my skin and this beauty caught my eye straight away. There's just something mesmerising about this primer and I've never used anything like it before; hello, endlessly glowing skin! I'm a real sucker for a juicy eye shadow palette and these sixteen shades do not disappoint. They range from the delightfully simple to absolute drama and you'll see just how much I loved this when you get to looks below! Now this is a mascara you need in your collection. You'll see in the looks that my lashes looked incredible and as someone who doesn't wear false lashes at all (trust me, me trying to apply false eyelashes is a true wonder to behold) I depend a lot on a great mascara and this one is truly that. If you've followed me for a while then you'll absolutely know that I'm an eyebrow gal through and through. A product like this is a real essential for any kind of look in my opinion, whether it's a no make-up make-up day or a bold night out look. My first look is actually the most I've loved make-up in a while. I could not get enough of this and it's definitely the kind of "go-to" look for me that I know I can rely on no matter what day of the week it is. 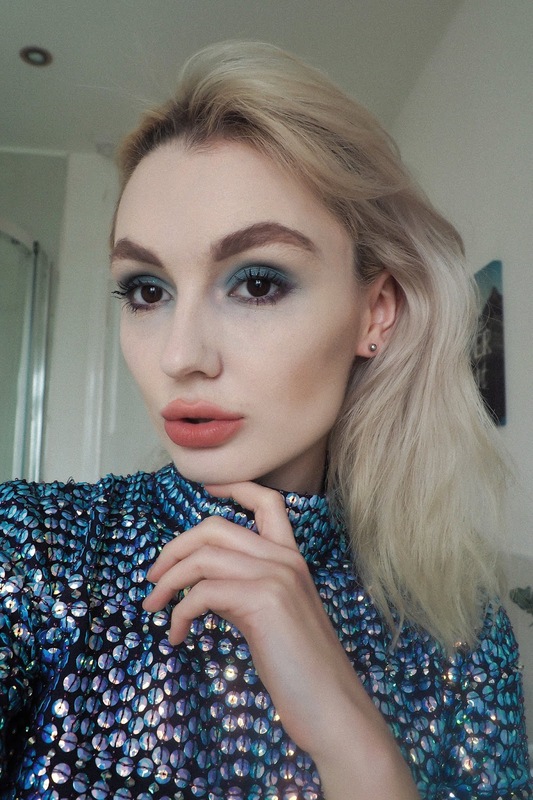 It's very, very simple so even if you are a total novice when it comes to eyeshadow blending or creating make-up looks, this is something that anyone can recreate. For this look, I started with the HONEY DEW PRIMER, on my cheeks, forehead and a teeny tiny drop on the bridge of my nose. The primer is a lovely consistency; I felt like it was going to be super sticky but as soon as you apply it to your face it just glides on and the golden flecks really make your skin glow. It's so pretty, I just want to lather it all over me all of the time. I followed with the CAN'T STOP, WON'T STOP FOUNDATION and you literally only need a few drops for a day time look like this. It's a full coverage foundation so you can add a bit extra where you need to disguise any blemishes. I had a few red marks on my skin left over from some leftover hormonal under-the-skin spots (ya know, the WORST kind of spots you can possibly ever get) and I just dabbed a little extra over the top of those. I got the shade LIGHT PORCELAIN which was great for my skin. 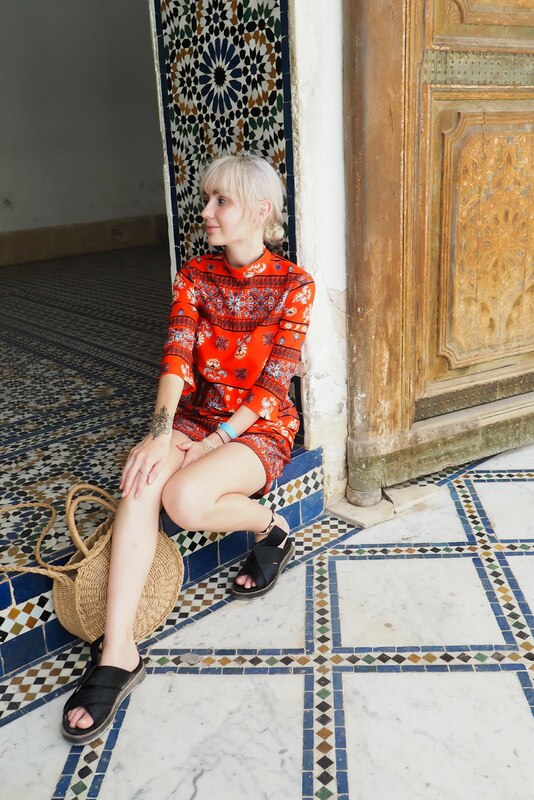 I've got quite neutrally pale skin and this matched me well, especially for this time of year. For my eyes and eyebrows, I went super simple. 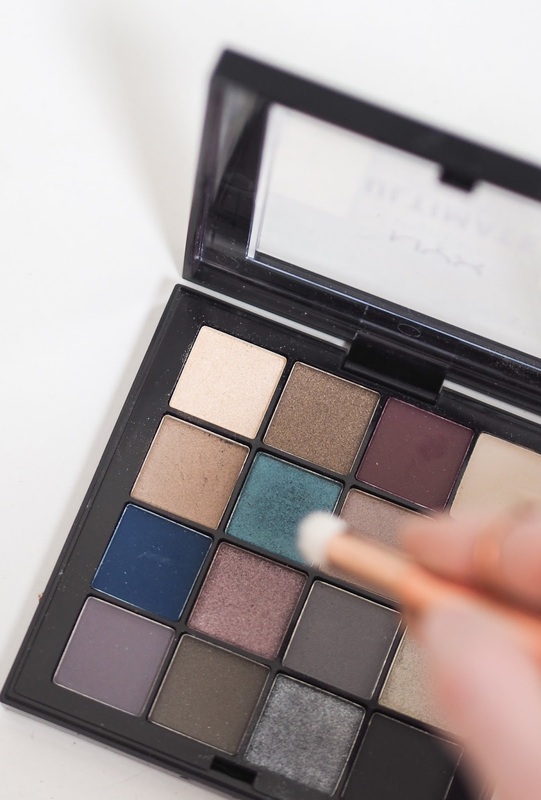 On my eyelids, from the ULTIMATE EYE SHADOW PALETTE I simply put a light dusting of the top left shade blended with the slightly darker shade directly underneath it, just to brighten up the eye area slightly without the make-up being overly obvious. I then added a coat of the WORTH THE HYPE MASCARA after curling my eyelashes and then moved onto my brows. No matter what, I still always go for the bold brow. I just can't help myself. Ever. I used the MICRO BROW PENCIL to create these big beauties, starting by lightly outlining the natural shape of my brows. 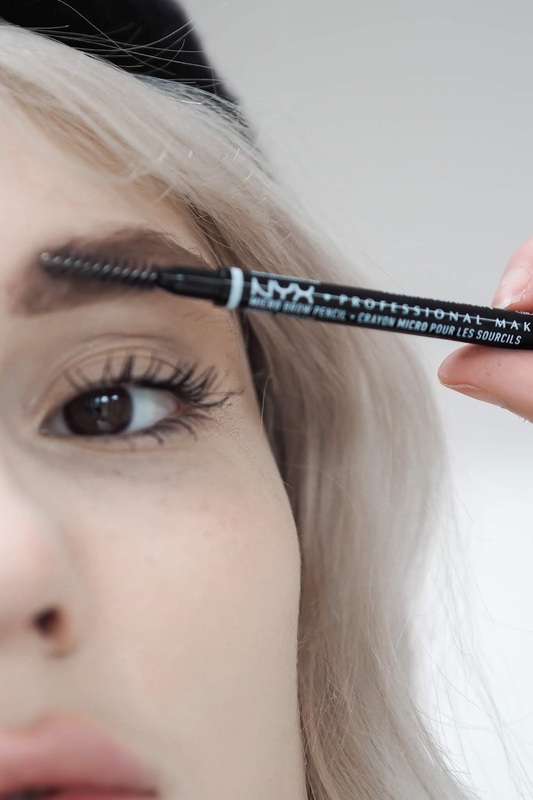 I then fill in over the top of my natural brows with the pencil, using light strokes to make them look as natural as possible and then brush them upwards using the eyebrow brush on the other end of the pencil. And last, but certainly not least, we have what this look is all about: the freckles. 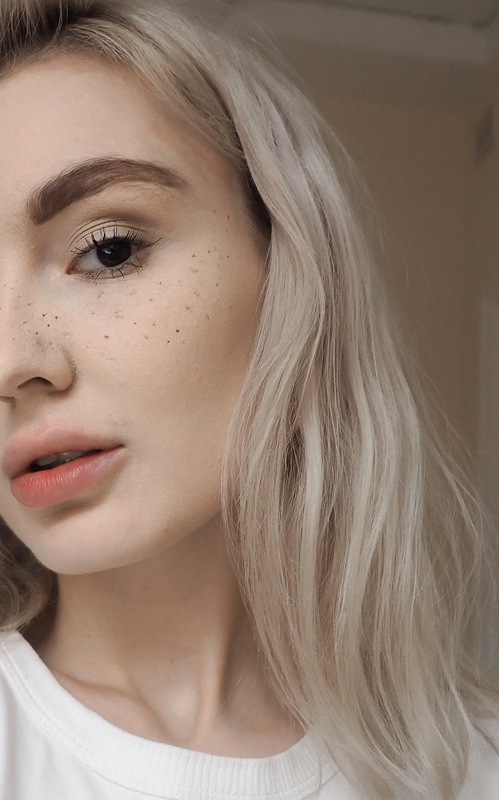 Now, I naturally have quite a lot of freckles over my nose and cheeks but in the winter, they don't stand out through any foundation at all and honestly, I miss them when they're hidden under make-up! So, I brought them back. 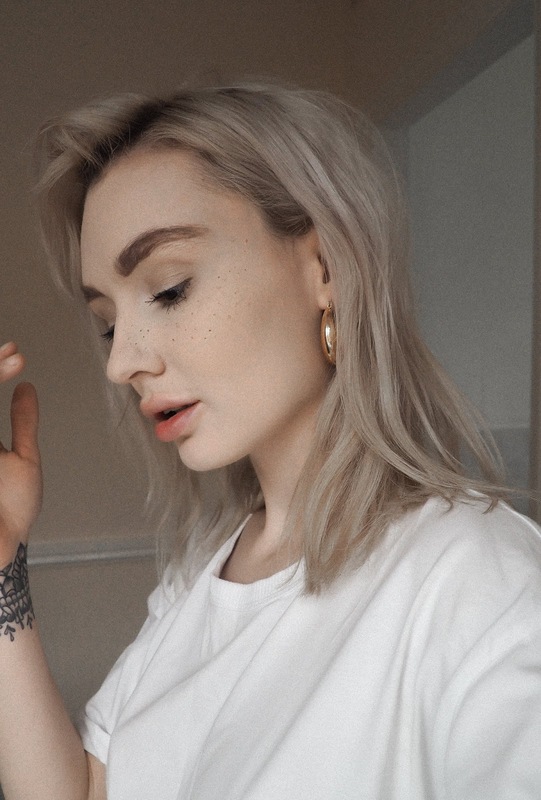 Well, not all of them because I'd be on an awful long time if I did every single freckle on my face but anyway, I did a light sprinkling of false freckles over my nose and cheeks. I used the MICRO BROW PENCIL to do this, with a little help from the bottom right shade on the EYE SHADOW PALETTE. I ever so slightly dipped the tip of the brow pencil into the shadow and lightly dotted it on my face. When I say "lightly" I mean LIGHTLY. 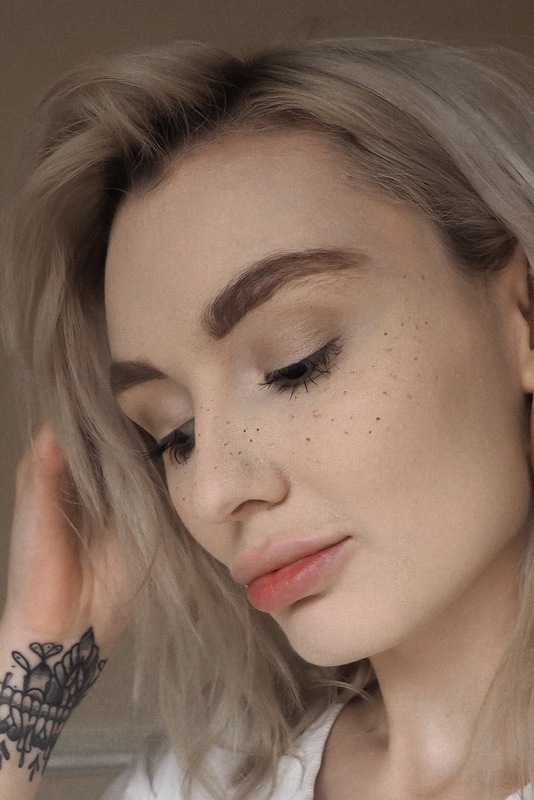 If you go too hard, the freckle will end up being a big old blob and looking like you've just drawn a load of strange dots on your face is not what we're going for here. I tried to follow the natural line of my freckles, sprinkling a few up above my cheekbones, down my nose and in small clusters. I then lightly brushed my (dry) foundation brush over the top of the freckles to slightly blend them in without smudging them and ouilla! I actually LOVE how this turned out and it only took about 15 minutes to create! Super easy for a day out shopping, for when you wana looking banging at work or if you just want a day of natural, no fuss make-up! And now for the definitely brighter and more dramatic make-up look. Can you believe that this was created using the exact same products as the natural look above? I'll admit this kind of eyeshadow is entirely out of my comfort zone but I loved creating it and I'm actually really happy with the finished look. 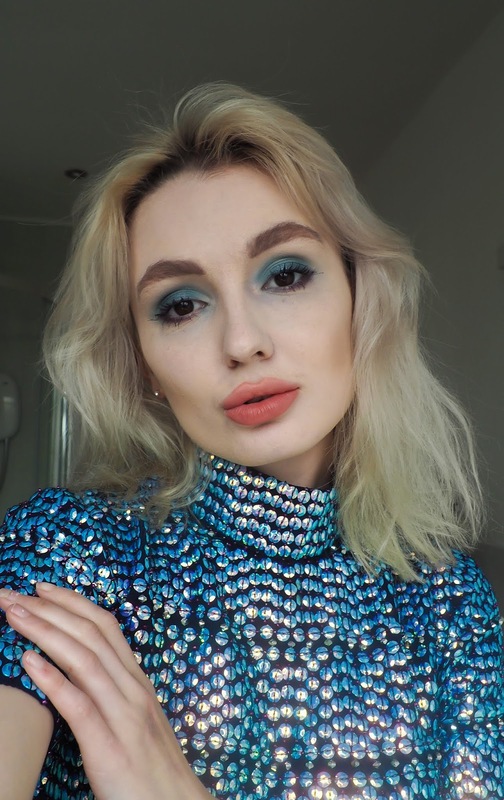 I went for blue because it was always my favourite colour as a teenager and I used to try so hard to do my make-up really well using blue eyeshadow. Sadly for my 13 year old self, the 50p pots of clumpy gel eyeshadow really did not do the trick and the photos are a sight to behold for anyone these days. Thank the lord we didn't have social media back then! I absolutely adore the two shades of blue in the NYX palette. One is a deeper, more dramatic blue and the other is a lighter, brighter sparkly turquoise so I thought I'd see what I could create using both of these incredible shades. This look was transformed directly from look one; there was no messing about with make-up wipes or all that jazz. I started by adding a little extra of the CAN'T STOP WON'T STOP FOUNDATION, just to blend away the freckles and create a more matte, thick base. They blend away really easy too because you only dab lightly and they will melt away. 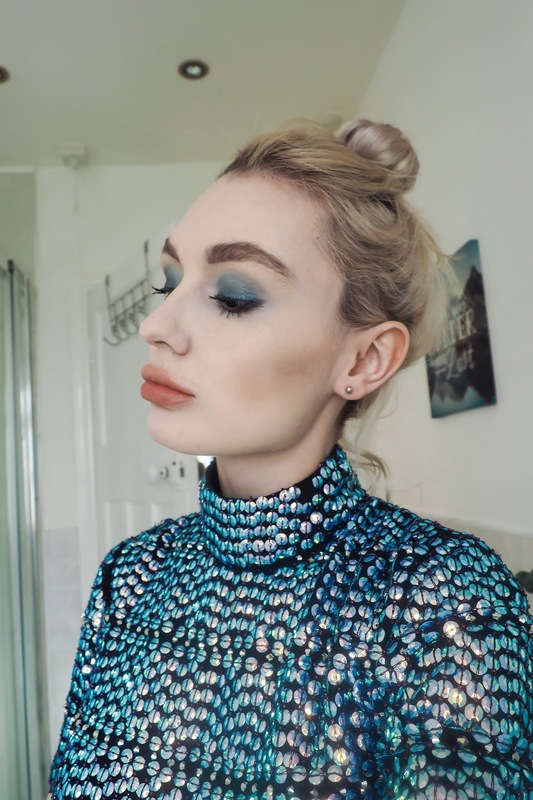 I then went straight in on my lids with the LIGHT GLITTERY BLUE shade from the eyeshadow palette, blending it all over the lids and into the crease, following on with the DEEP DRAMATIC BLUE around the edges, just very lightly blending it all together. I then added a teeny dot of the same light shade from the top left hand side of the palette to the corners of my eyes and blended this in to highlight the very top of my brow bone too. 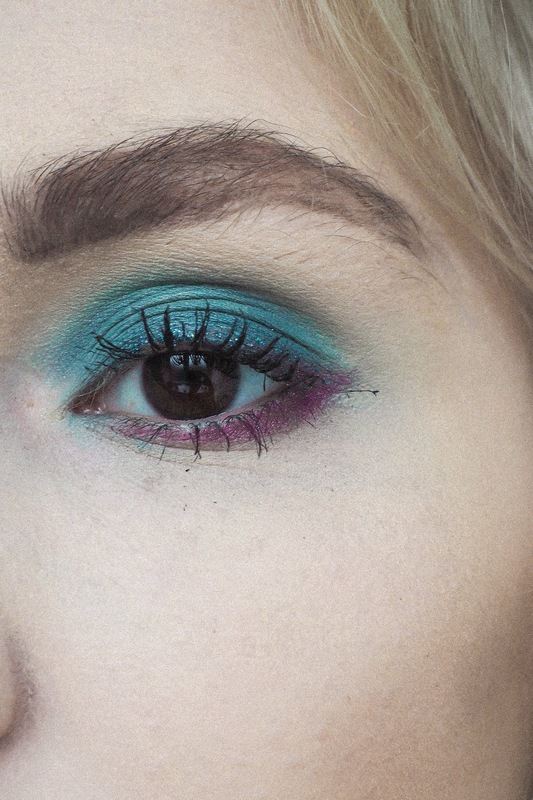 Just to give it a bit of an extra bit of wowzaa, I decided to try not one, but TWO colours on my eyes together, something which I'd never actually done before. I got the deep pink/purple colour from the palette and lined the bottoms of my eyes with it. The colour is incredible and it made such a difference to this look, turning it from something quite basic to a very dramatic look perfect for making a statement on a night out. For the final, final, touch I got a really small brush and laced it with the absolutely stunning silver shade from the palette, dragging it carefully along my lash line on my top eyelid, just about where winged eyeliner would normally go. This is the part that I loved the most because although it's not that noticeable alone, the difference it made to the depth of this was amazing. I added a few more coats of the MASCARA but I didn't do anything at all to my brows because I felt that they were bold enough without adding anything else to them. I've actually used the brow pencil in my everyday make-up routine since it entered my life and I think I'm converted back to the pencil from the brow palette?! On a side note, can we just take a moment to appreciate this stunning (said in Monique Heart's voice please) sequin blue dress? It's one of those dresses that is absolutely breathtaking but that you never get to show off anywhere near as much as you want to. Is this entire look overall too much to go and get some shopping from the local supermarket or...? So there we have it; two completely different looks created using the same base and exactly the same products on each one, both with an entirely different effect. 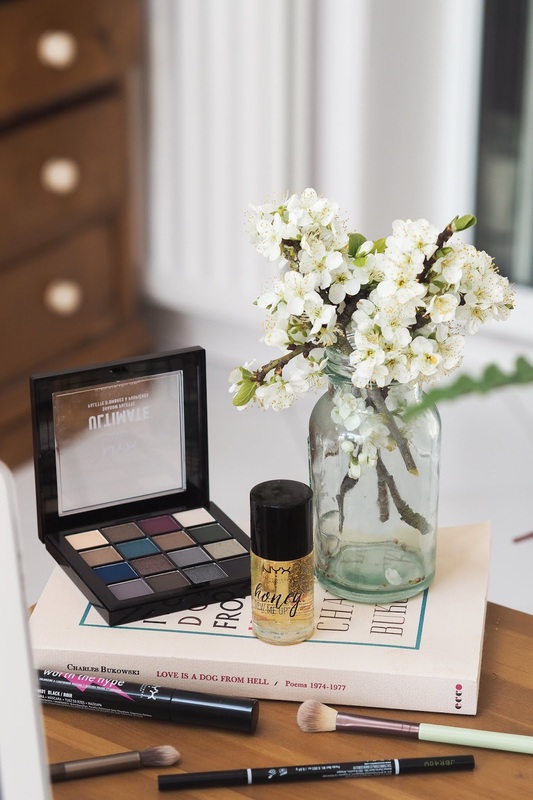 There is so much possibility with products like the NYX Palette thanks to the range of shades and there are endless possibilities with it, even when you want to satisfy your inner teenager with a bold and bright look like this! What would you create with this type of palette? THIS POST IS A PAID COLLABORATION WITH BOOTS. ALL WORDS AND VIEWS REMAIN MY OWN.